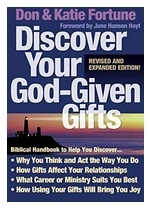 The topic of spiritual gifts can be a beneficial aspect of Discipleship Counseling. The teaching context would include 1 Peter 4:10,11, Eph. 4:11-12; and 1 Cor. 12-14. Personal discipling/mentoring/counseling could facilitate the disciple’s appreciation, recognition and deployment of his/her gift(s). If the Discipleship Counselor appreciates the importance of spiritual gifts in life and ministry, he/she may discover this topic to be more scriptural and beneficial than the popular four personality categories (as used in the DISC profile). This entry was posted in Issues by gfischool. Bookmark the permalink.